Transport costs account for 59 percent of logistics costs, according to calculation by Competitive and Business Environment Board under Central Institute for Economic Management. Of transport costs, 77 percent are related to roads and 5-10 percent are unofficial costs. 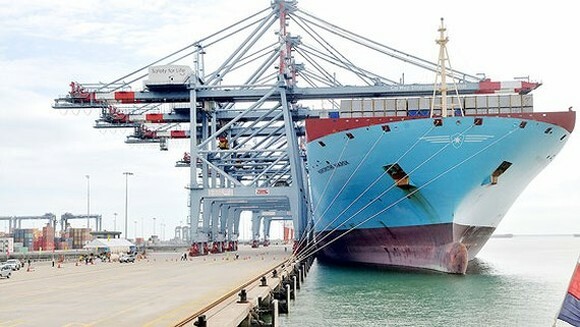 At present, it costs VND5.8 million to transport a 40 feet container from HCMC to the northern border gate of Tan Thanh. It approximates VND4.6 million (US$200) from HCMC to California by sea. Besides road maintenance fee of VND17.5 million a vehicle a year, businesses have to pay BOT toll fee. Furthermore, they must make payment for broken-down vehicles which are not in traffic. Experts blame the high transport costs for the weak connection among modes of transport. The weak connection has made it unable to fully exploit potentials of each mode and share pressure for road system. Multimodal transport has not developed because of unreasonably planned and arranged infrastructure system, they added.